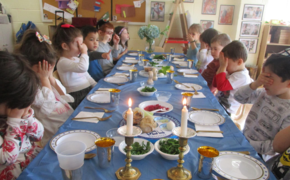 Beth El Nursery School Mock Seder. Religious School making netilat yadayim (hand washing towels) for Passover. least one week prior to the start of Passover. Cantor Aqua will have additional hours during the week before Passover, please see schedule below. If you wish, you may enclose a contribution for Maot Hittim (Passover tzedakah) to help others, less fortunate, celebrate the holiday. Visit bethelnr.org/passover to find the sale of hametz form. 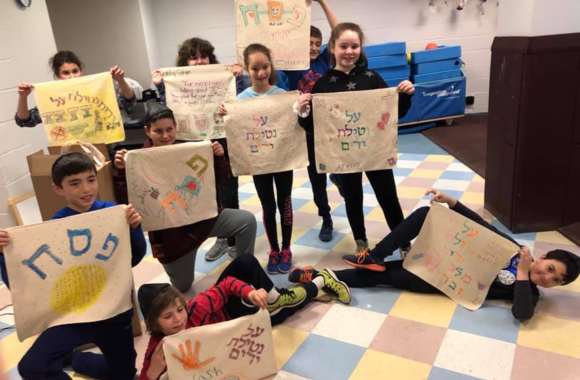 Sunday 8:30 a.m. – 10:45 a.m.
Friday 8:00 a.m. – 9:00 a.m.
6:00–7:30 p.m. Get in all the hametz you can, plus never ending chocolate with your Beth El friends! End the night with Bedikat hametz before Pesah begins. Open to all 6th–12th graders. The cost is $5 or free for all 9th–12th graders at Beth El. Walk-in cost is $5 more. Register by Wednesday, April 17 at bethelnr.org/chocolateseder. Do you know of college-aged children that are studying abroad? 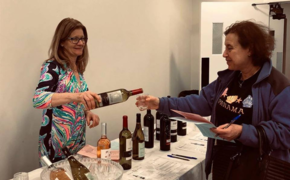 Beth El Synagogue Center and KAHAL: Your Jewish Home Abroad would love to help them find a host family or local synagogue this April 19th or 20th, anywhere in the world. KAHAL's data shows that students referred by friends and family are nearly 30% more likely to attend a Shabbat dinner, celebrate a Jewish holiday, or connect socially with Jewish peers while traveling abroad. non-denominational resource, set up more than 1000 seders in 110 cities around the world! Contact Misha Vilenchuk at misha@kahalabroad.org or visit kahalabroad.org/Passover or more info. All students that are looking for Passover opportunities are also eligible for sponsorships of up to $250 to ensure all their needs are met. Students can apply for grants at http://kahalabroad.org/grantapp/. First Seder: There are various customs regarding starting the seder and having it be “at night.” Some begin at sunset, some wait for nightfall (8:08 p.m.), and others wait for three stars. washing, karpas, and Maggid highlights including the four questions, avadim hayinu, some review of Arami Oved Avi, the second cup of wine, and Rabban Gamliel’s presentation of the meaning of the ritual foods. Of course, the actual consumption of matzah and maror needs to take place after dark as well. To help with kashering your kitchens and the kashrut of different foods, we are happy to share with you an updated Guide to Kosher Foods and Preparing Your Home for Passover created by the Rabbinical Assembly. Please note that there are some areas where our opinions differ a bit from the guide. Click here to download your 2019 Passover Guide. The counting of the Omer, the period in between Passover and Shavuot has had various meanings throughout the millennia. One that is particularly resonant for our lives today is the idea of spiritual preparation. Passover, which commemorates the Israelites' exodus from Egypt is followed by Shavuot, the day the Israelites received the gift of Torah, 50 days later. When we carve out time to count these days one by one, we elicit the same anticipation the Israelites felt as they made their way from Egypt to Mt. Sinai. For a daily reminder email for the Omer please subscribe at bethelnr.org/form/omer.